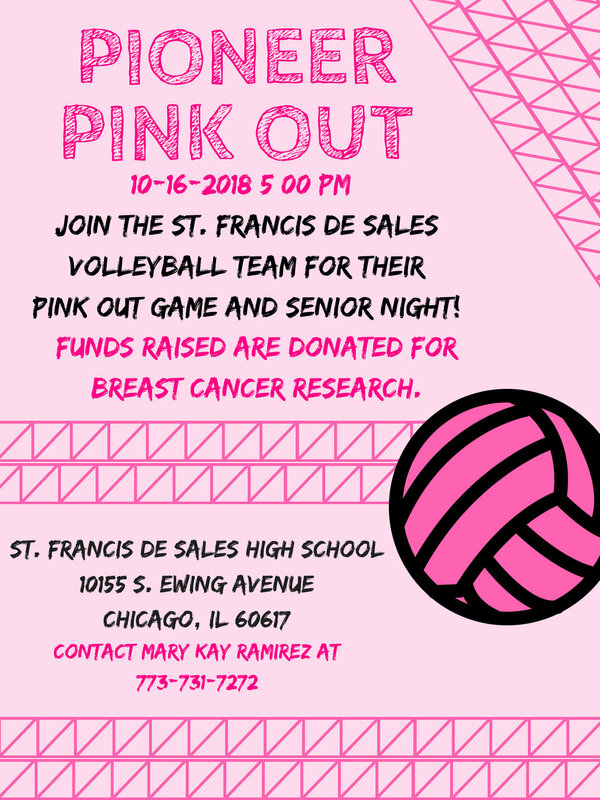 It's that time of year again when the volleyball program hosts their 9th annual PINK OUT in support of Breast Cancer Awareness. Before the game, we will recognize breast cancer survivor, our own Mrs. Mary Kay Ramirez. Order the pink out t-shirt here. Students who buy one will get an out of uniform day on Tuesday, October 16. All money raised will be donated in honor of Mrs. Ramirez to Breast Cancer Research.